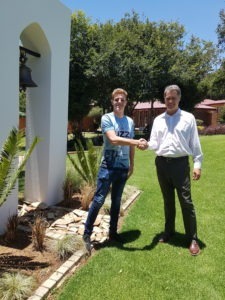 Big congratulations to Heinz Gericke Grade 11 student who has been accepted at The University Pretoria. He will be starting his BSc Computer Science degree this year in January. We would like to commend him on his acceptance and wish him the best for his studies at the University.